Having exceptional, friendly staff is our greatest asset. They are excited about what they do, and they care personally about getting the best results for our patients. Patient Coordinators: Our front office staff are there to help you understand your vision coverage, make appointments that accommodate your busy schedule and make sure your experience in our office is relaxing and comfortable. Optometric Assistants: You can expect to spend the initial part of the exam with one of our skilled assistants, who will preform a few preliminary test prior to your visit with the Doctor. These important diagnostic test will help us determine if you are in need of a medical eye examination or an annual routine exam. Insurance Coordinators: These staff members are vital to helping us and you to understand all the regulations and restrictions involved in your insurances and/or vision plans. They are here to help you understand any coverage and billing issues you may have. Opticians: Choosing the optician you order your eyewear from is an important decision. Like most things that require a level of expertise and experience, the more experience and knowledge the better you can expect the results to be. Many states such as New Hampshire do not have any requirements other than paying a fee and registering with the state as a dispensing optician. This means many state certified opticians may have only slightly more knowledge than you about your prescription. 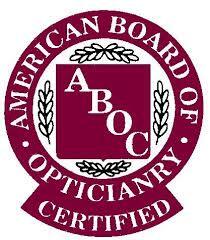 The best way to determine if your optician has any qualifications is to see if they are ABO certified. This is a National certification and requires the individual to pass a minimum competency test in opticianry. If you are looking for further qualifications, some states like Vermont and Massachusetts have licensing and require a degree or formal apprenticeship.